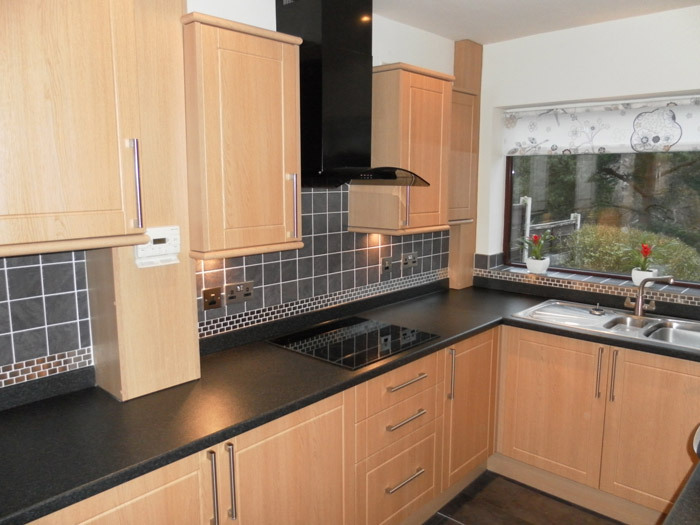 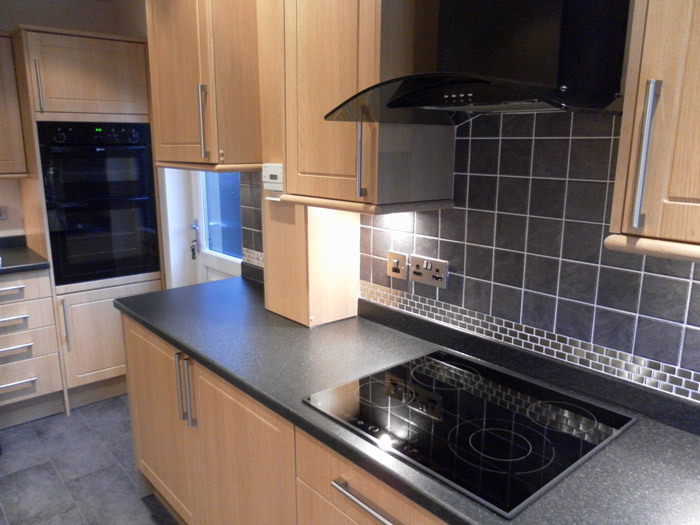 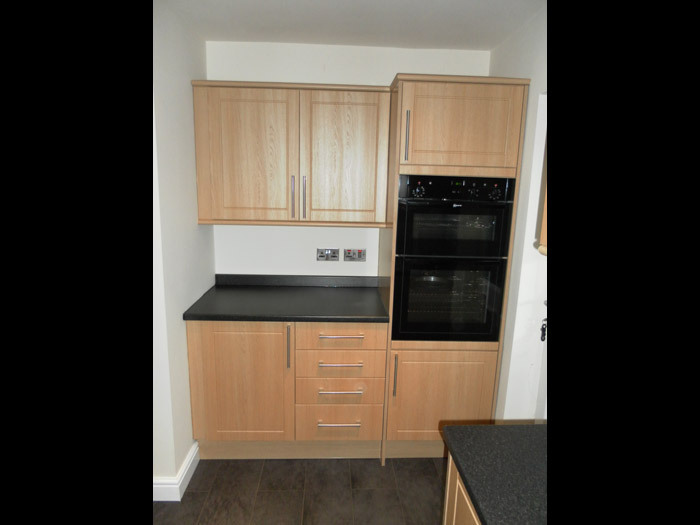 We fitted this modern kitchen in a property in Glossop. 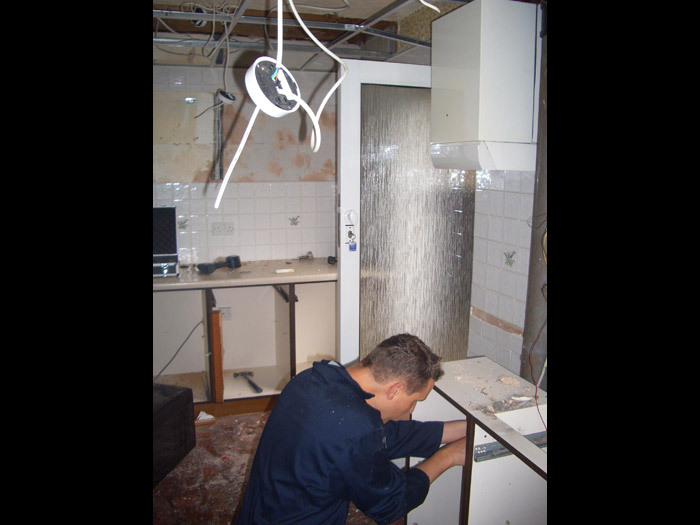 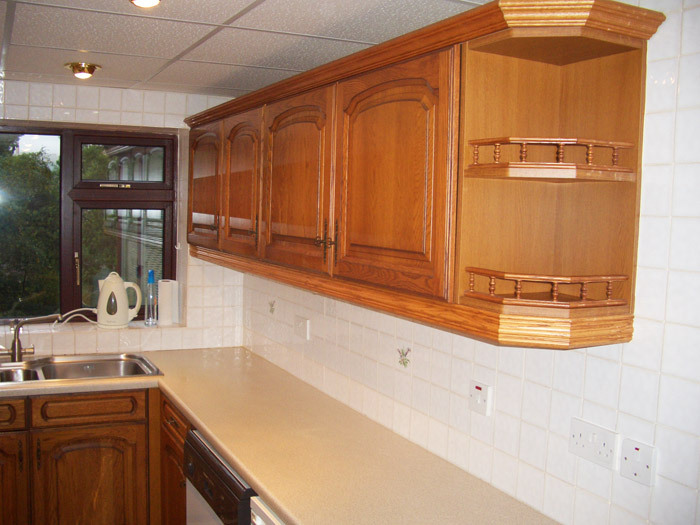 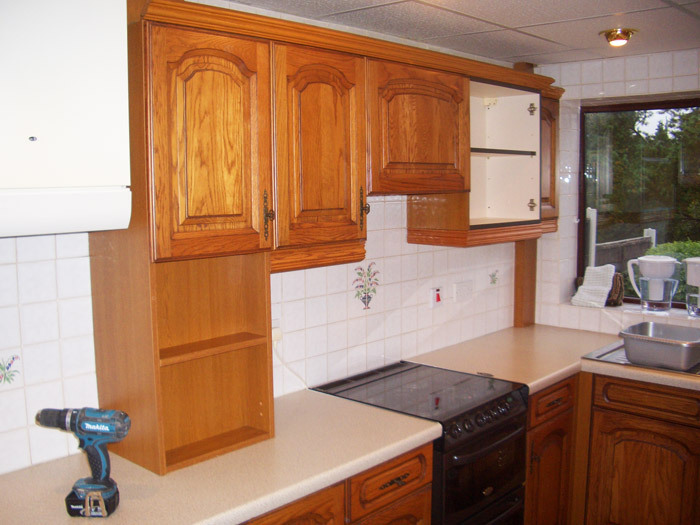 The job began with the removal of the old kitchen, improvements to the electrics and installing some additional sockets. 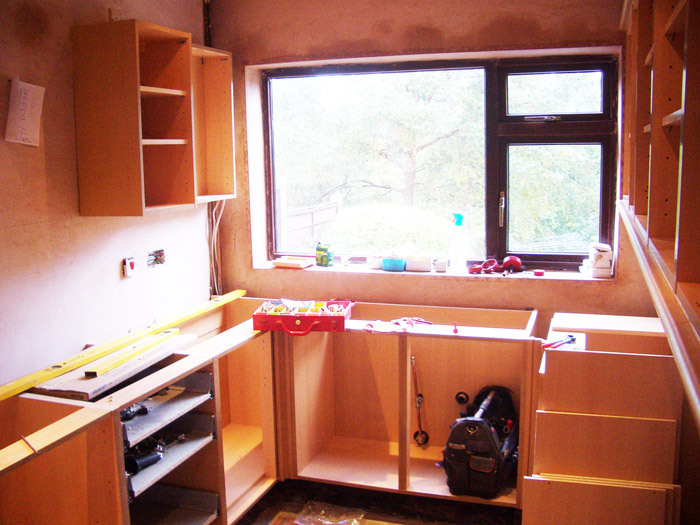 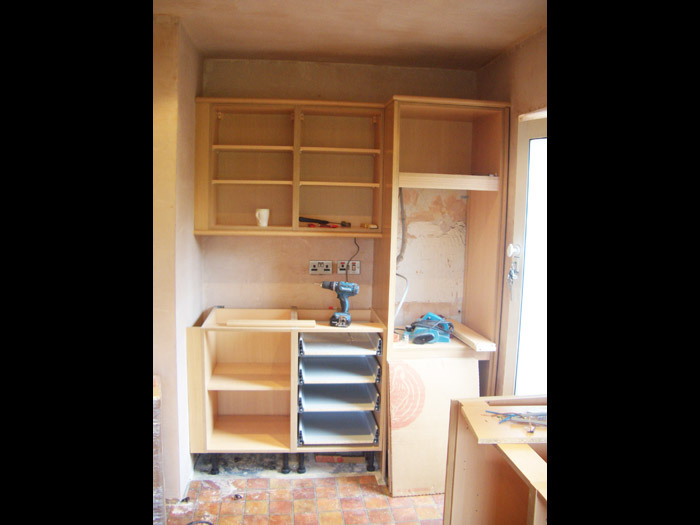 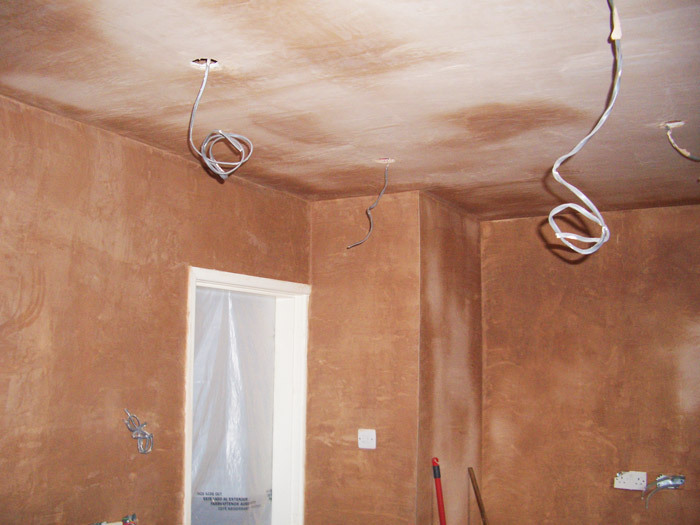 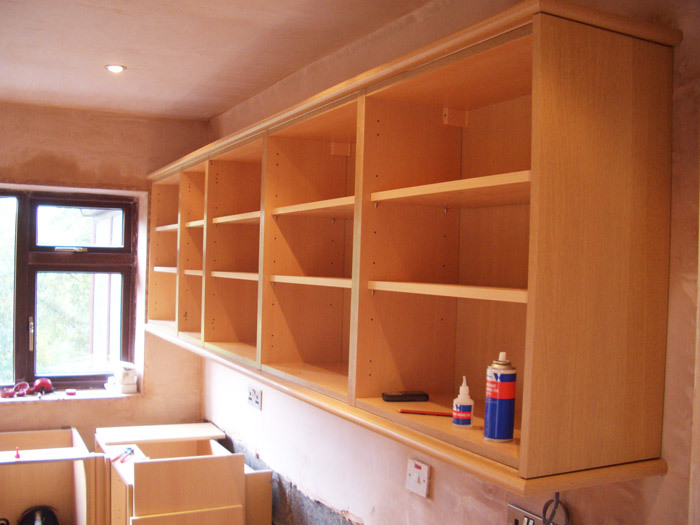 The walls were then fully plastered and the new units fitted before we completed the kitchen with tiling and finishing off.